In the hills of Vermont you will find internationally recognized artists working in many mediums (clay, wool, glass, metal, & more), selling their art in galleries all over the country. Mad River Glass, aka David and Melanie Leppla, opened their glass shop in the early 2000’s. 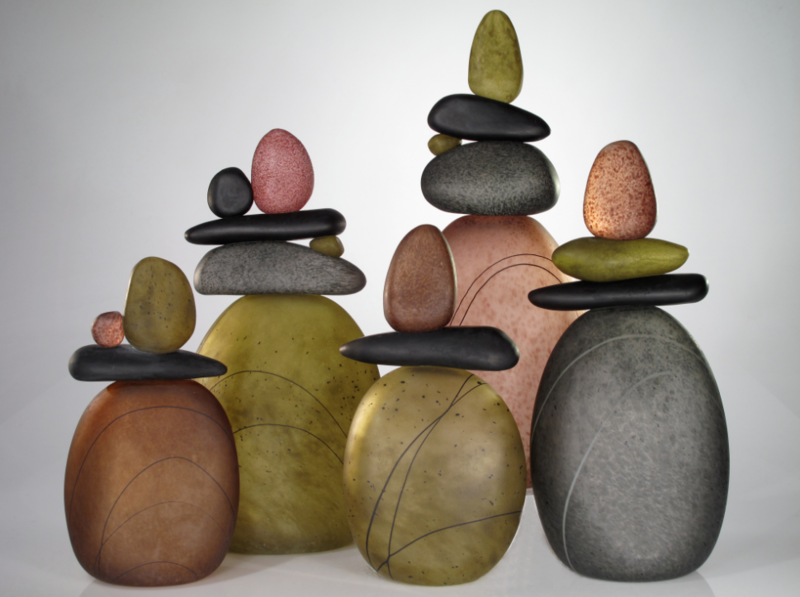 I love their use of this medium, creating modern versions of recognized objects: rock totems, Japanese lanterns, vases, and more. You have to keep your eyes open when visiting this small state. Hidden in the hills are gorgeous homes, world class restaurants, quiet rocky rivers, and of course, mountains for skiing, biking, and hiking.